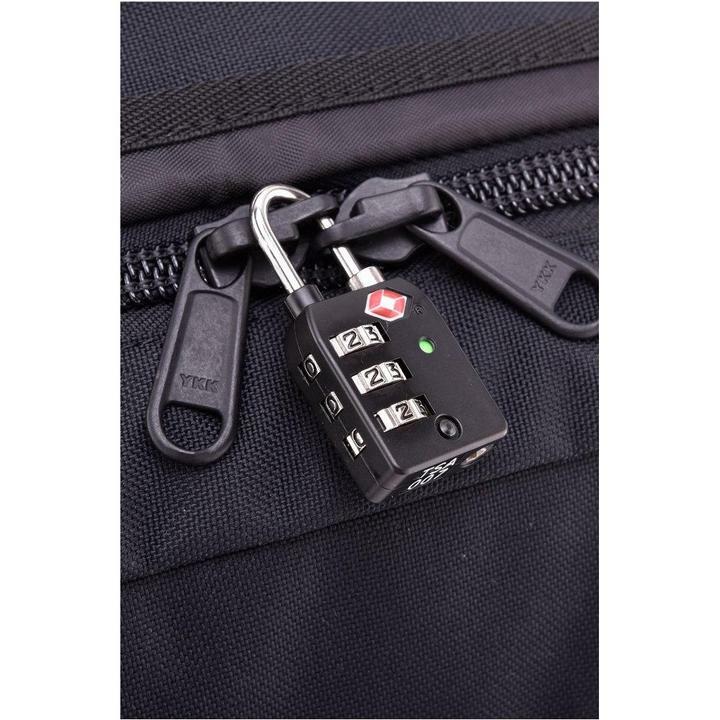 Lockable Zippers… a feature that should be on every travel backpack. For one reason or another lockable zippers are unfortunately not always an option. Perhaps companies wish to reduce the weight of a bag by swapping out metal zipper pulls with paracord or reduce costs with cheaper materials… who knows! This feature is important to me because it serves as an obstacle against potential pickpockets from getting into your things while traveling. I’ve recently came across a DIY mods that add lockable zippers to any backpack. This mod caught my attention because the ability to secure your backpack with a lock can provide a tremendous amount of peace of mind –especially in places notorious for pickpocketing. Since I’m about to backpack through parts of Europe I decided to change out the zippers on the daypack of my Osprey Farpoint 55. I went to a local hardware store and brought my backpack with me in order to figure out which materials would work best. For the zipper pulls, I discovered that 5 inch pieces of 3/32” stainless steel cable held together with aluminum 3/32” cable fasteners were ideal. The store had plenty of cable options, I went with stainless steel because you need a pair of sharp wire cutters to cut through it and it won’t rust. I began by removing the original paracord zipper pulls with a pair of scissors. Seeing how easy it is to cut through paracord with a pair of household scissors is precisely the reason why I wanted to replace the zippers. Next I used the wire cutters to cut 5” pieces of cable. I kept the ends as clean as possible so that cables could slip through the zipper easily. To keep the cables together I slid the aluminum fasteners on the cable ends. I pulled the fastener all the way down, then wiggled it upwards gradually to carefully hide the cables ends within the fastener. The cables have sharp ends, but they can be hidden with the fasteners and thus you can avoid pricking yourself in the future. Closing the fastener is a simple grabbing anything hard and smashing it together. I wrapped my DIY zipper pulls with hand towels before pummeling them with a sledgehammer. This kept the fasteners from getting aesthetically displeasing scratches. Overall this was a very easy and very cost effective mod that can work on any backpack (as long as you find the right parts.) This project cost be $1.82 for materials from Home Depot and about 15 minutes of assembly time. It worked out so well that I proceeded to switched out the original zipper pulls on my Kelty Redwing 32. Although these zippers will not make my backpack invincible to thieves, the added obstacle of having to deal with a lock will serve as a deterrent and at least buy myself time to notice the situation and hopefully get away with my things still with me. If you find content like this review helpful, please consider purchasing gear from B&H, my Amazon page, or any of my other my affiliate links. Anything you purchase after clicking through these links helps keep the lights on for the blog –and you get to treat yourself to a new toy! Cool project! Would also add an industrial look to the piece. Your lockable zippers won’t protect you at all. Anyone can simply pull apart a hole big enough to fit an entire arm. Really, try it yourself! In contrast, look at a pair of truly lockable zippers linked – and see how they’re designed to keep the two zipper heads tightly together (versus your wire loop that can open up a huge gap). Thanks for sharing! While I definitely agree that the lockable zipper in the photo you’ve link to is more secure my wire loop hack was intended for backpacks that didn’t have that feature included on the zippers. Frankly, if someone really wanted to get into your backpack neither of our methods would stop them. These “security” measures are really just buying us time to hopefully slow down the thief long enough for us to catch them or completely deter them from even trying.